The Traveling Tripod: The Ultimate Gadget Cam? Okay, the D300S is my new go-to camera of choice, but this may be the ultimate replacement for the Sony T-200 I carry in my pocket. This new camera, due out September 29th actually includes an internal Pico Projector capable of projecting your photos and video onto a wall - up to 40" across. 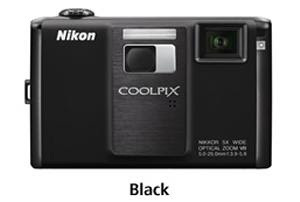 It also boasts 12.1 MP resolution with a 5x optical zoom and up to ISO6400 sensitivity. Can't wait to see it....the Nikon S1000pj.